Fiery failures are no stranger to the space game. It’s what happens when you push the boundaries of what technology can do, where people can go. 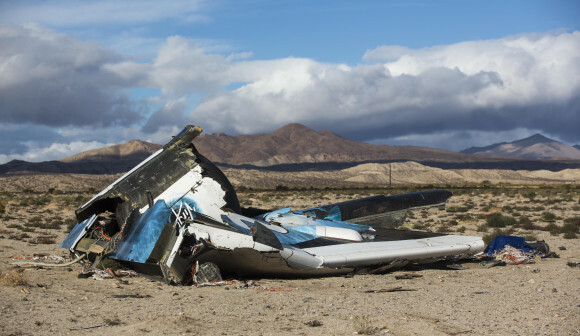 And it happened again to Virgin Galactic’s SpaceShipTwo. In the past decade, the space industry has tried to go from risky and government-run to routine private enterprise — so routine that if you have lots of money you can buy a ticket on a private spaceship and become a space tourist. More than 500 people have booked a flight, including Justin Bieber, Ashton Kutcher and little known space scientist Alan Stern. But it all depends on flying becoming safe and routine. This week hasn’t helped. Three days after a private unmanned Orbital Sciences rocket taking cargo up to the International Space Station blew up six seconds into its flight, a test flight of SpaceShipTwo exploded Friday over the Mojave Desert with two people on board, killing one crew member. The developments reignited the debate about the role of business in space and whether it is or will ever be safe enough for everyday people looking for an expensive 50-mile (80-kilometer)-high thrill ride. The question for space tourism might be, “if it survives,” Logsdon said. But he thinks its momentum in recent years will keep it alive. Virgin Galactic founder Richard Branson expressed the same view Saturday after arriving in Mojave, California, to meet with the project workforce reeling from the accident. Federal estimates of the commercial space industry —only a little of it involving tourism — exceed $200 billion. NASA is counting on private companies such as SpaceX and Orbital Sciences to haul cargo to the space station. They are also spending billions to help SpaceX and Boeing build ships that will eventually take people there, too. Internet pioneers Elon Musk and Jeff Bezos have gotten into the space game. Aviation entrepreneur Branson and others are pushing a billion-dollar space tourism industry. The Virgin Galactic and Orbital accidents have nothing in common except the words private space, Stern said. Still it raises issues about the space industry. Some experts said they worry that private industry may just not be as safe as the government when it comes to going into space. Jerry Linenger, a former astronaut who narrowly survived a 1997 fire on the Russian space station Mir, said private industry lacks the experience and the advocates for safety that NASA had when he was launching into space. He pointed to former moonwalking astronaut John Young, who NASA encouraged to raise safety issues and slow things down. Watching the Orbital Sciences accident on Tuesday, Linenger said, “it was blatantly obvious that it is a dangerous operation that is very nearly on the edge,” yet private companies talk of doing it better, faster and cheaper. Then they find out that was naive, he said. McCurdy pointed to all the Silicon Valley whiz kids in space and worried that they come with the same Microsoft attitude of pushing a product out and fixing it on the fly. Logsdon said he wouldn’t fly on commercial space flights now, but Virgin Galactic customer Alan Stern said he had no qualms about it: “Let’s not be Chicken Littles,” he says. He recalled the early days of aviation or the early days of jet test piloting in the 1940s, 1950s and 1960s, when people died pushing the boundaries of technology. McCurdy said the private space industry seems to be having the same growing pains and failures that NASA and the military had when the first astronauts watched a rocket blow up in front of them. It seemed that in the first five years of U.S. rockets, one blew up every other week, but it wasn’t quite that bad, said Roger Launius, associate director of the National Air and Space Museum. This week seems a lot like those old times, he said. Launius wonders if the public will support private efforts despite the visible failures, and can the for-profit companies tolerate the risk that comes with space and accidents. Orbital’s stock price has dropped 13 percent since Tuesday’s accident. For Stern the answer is obvious. “I want to be part of the opening of this future frontier,” the former associate administrator of the National Aeronautics and Space Administration said. “I want to make that better future a reality.